If There’s a College Affordability Crisis, What Should We Do About It? In last year’s campaign for the presidency, Hillary Clinton and Bernie Sanders tried to attract votes with promises of free college. In the British elections earlier this year, one reason for the Labour Party’s surge was its pledge to do more to help students afford college. Higher education has become a very big political issue, with many voters receptive to candidates who want to help them get their degrees. All right, but is there really a “crisis,” and if so, what is its cause and exactly what action should Congress take? The report begins by informing readers, “College is not the only road to the American Dream, but it is a proven one. With each successive degree, graduates are more likely to be in the workforce, to be employed, and to earn more.” Actually, that’s not the case. 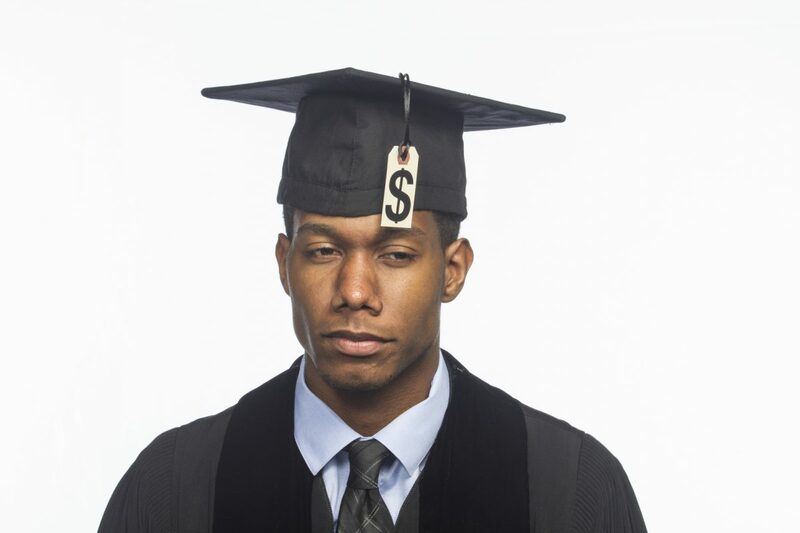 Many American graduates have found that their degrees did not lead to those benefits. She refers to this September 2017 study done by the Government Accountability Office (GAO), which showed that many college graduates are underemployed, meaning that the jobs they find don’t match the individual’s putative skill levels based on their formal education. The GAO study found a steady rise in underemployment. In 1995, 16 percent of the workers in low-wage jobs ($12-$16 per hour) had college degrees; this figure has increased to 22 percent today. That supports the argument I have made for many years—when it comes to educational credentials, supply does not create its own demand. Putting more and more people through college does not cause the economy to generate enough high-paying jobs for all of them. Lots of college grads wind up taking “high school” jobs. It’s surprising that significant numbers of grads even in those fields have to settle (at least initially) for employment that’s below their level of education. That point further underscores how much the U.S. has oversold college. Therefore, while it’s true on average that college grads earn substantially more than workers who have lower levels of formal education, it doesn’t follow that college is a good investment for everyone. There is no question that college has gone up dramatically in cost—but why? The report never mentions the role of federal financial aid to students in enabling schools to increase their tuition and fees, the so-called Bennett Hypothesis. In 1987, President Reagan’s secretary of education, William Bennett, argued that the main reason why colleges kept raising tuition was that they knew that government aid had put more money in students’ pockets—money that could only be used to attend approved (i.e., accredited) colleges and universities. Is that claim true? Many higher education scholars have carefully analyzed Bennett’s argument and concluded that, generally, it is. In a paper written for the Center for College Affordability and Productivity, Andrew Gillen concluded, “There is an overwhelming danger, especially over time, that higher financial aid will lead to higher tuition.” The more the government tries to make college affordable, the more expensive it becomes. Similarly, professor Robert Martin in his Martin Center paper “The Revenue-to-Cost Spiral in Higher Education,” observed that college leaders spend every dollar they possibly can primarily on things that they think will raise the school’s prestige. More government aid to students, therefore, helps fuel the arms race in spending, not to keep tuition as low as possible. In most states, total higher education spending has not decreased, but only appears to have done so. Complaining that colleges have been forced to raise tuition because the states have “disinvested” in higher education is a popular notion, but not a convincing one. It doesn’t explain the fact that college costs were rising well before the states began to reduce spending on their college systems, and it doesn’t explain why private college costs have been increasing. In short, “The College Affordability Crisis” has a very poor analysis of the problems that we confront regarding higher education, but what remedies does it suggest? One suggestion it makes is to improve guidance for students, who are “expected to figure out which degree will lead to a good job, which school they are most likely to succeed at, and what is an acceptable amount of money to borrow for that degree.” It’s true that high school guidance counselors often do a poor job in helping students. However, students and their families have an abundance of information sources today besides high school guidance counselors. It doesn’t take much web savvy to search for information on degrees that are or are not likely to lead to employment after graduation. Nor does it take much to find out that there are very good jobs that don’t call for college credentials at all, as this study published by the Center for the American Experiment makes clear. Yes, students are prone to making unwise decisions, but the solution to that problem doesn’t lie in federal policy. How about the high cost of college? All the report says is that “Congress must look to alleviate the cost burden on students and incentivize states to invest in higher education.” That’s the kind of talk you’d expect to hear in a political ad, not in a policy study. Evidently, the Democrats’ stance is simply to throw more money at this “crisis,” blissfully ignoring the fact that we have it precisely because of Washington’s habit of throwing money at higher education for the last 50 years. There is no “crisis” in college affordability. Postsecondary education is available in all price ranges to Americans and job-training programs are a good option for those few who can’t afford college. Instead of intervening more in higher education as the report advocates, the right move would be to extricate the federal government from it.